Buying A New House: Do You Really Know What You Are Buying? Planning to buy a new house? If you are, make sure that your excitement doesn’t cause you to make a purchase without considering pertinent matters. Keep in mind, buying a house is one of the biggest decisions you’d make in your life. Hence, it requires some serious thinking to ensure that you don’t end up regretting your decision. Below are some questions to help you assess if you are making the right move and the right purchase. Buying a house may be exciting but the process involved in acquiring one isn’t, specifically when it comes to the financial aspect. A huge amount of money is required in this endeavour. Unless you’re paying in full, you’d have to be ready to shell out payment for mortgage every month for a decade or two. On top of this, you’d need to have money to cover upfront costs such as down payment, moving expenses and new furniture. Also, you’d need to set aside money for maintenance. So, before deciding to buy a house, make sure that you are capable of taking on the financial responsibility that comes along with this decision. 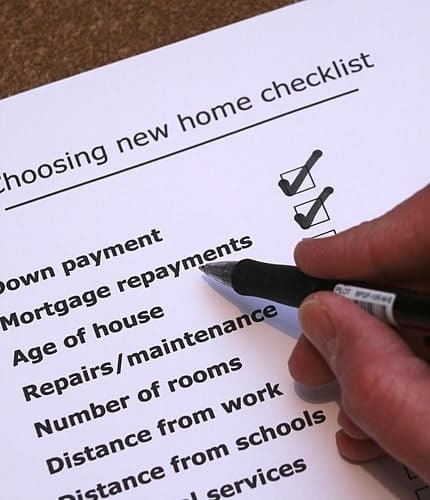 How do you determine if you can afford buying a new house? First, make sure you have substantial savings to pay for the down payment for the property. Next, determine if there’s room in your monthly budget for mortgage payment and homeownership costs like expenses for maintenance. Nowadays, there are online calculators available to help you determine if you can afford to buy a new house. Based on your income and debts, it also tells you how much you can afford. When choosing a house to purchase, don’t let your wants overshadow your needs. Keep in mind, the bigger the house, the more expensive it is. Unless you truly can afford a huge house, it’s best to choose one which meets your space requirements and most importantly, your budget. The general rule of thumb is to pick a house that’s going to entail a mortgage payment that’s 1/3 of your gross income. However, given that there are other housing related costs like real estate tax and insurance, it’s best to go for something cheaper than what you can afford. When it comes to assessing if the property is just what you need, consider your family size and the number of bedrooms the house has. Also, it’s important that you factor in your future plans. For example, a single-bedroom home may be what you need for now given that it’s just you and your spouse. However, if you have plans of having kids in the future, it’d be practical to choose a house that would be able to accommodate your future brood. To make the process of determining what kind of house you need and finding one which suits your budget easier and quicker, get the services of a professional estate agent. Does The Property Have Issues? The house may be newly painted and well-staged; however, these things do not always signify that the property is in tiptop condition. Make sure you personally and thoroughly check the house before making an offer. Also, don’t just focus on the property’s interiors. You must check the exterior as well as the other areas within the property lines. Have the property surveyed by your chosen surveyor or engineer, even if the mortgage company already carried out a survey. When you get a house, you are not just purchasing a structure. You are buying into a neighbourhood, too. So, it’s important that you like the neighbourhood where your prospective house is located. Take time to learn about the neighbourhood. Talk to some members of the community. Check the crime rate in the area. Use newspapers and online articles to learn about past happenings in the neighbourhood. Know if important facilities are nearby. In case you have kids, determine if there are good schools near the neighbourhood. Lastly, talk to local authorities to find out plans for the area. Are you buying a new house in Ireland? Let our professional real estate agents help you find a house that suits your needs and budget. Call us at 014959020 today!